The Liberal Pulpit: What Are You Saying When You Say "God"? I used to have a ponytail. For seven years during the aughts decade I had a ponytail. I was aware that a ponytail makes a certain statement, and a ponytail on a man – or, person apparently presenting as male -- makes a different statement from a ponytail on a person apparently presenting as female. But what statement? What does a ponytail say? Now I have a beard – and what does that say? I don’t know. Different things to different people, I guess. What does the word “God” say to people? (An even hairier question!) It says something, though it’s not exactly clear what. Whatever it is, does it need to be said? If it does, can it be said as well, or better, without using “the G-word”? If I don’t know what “God” means, then I don’t know what “atheist” means either. Declaring you’re an atheist – or a theist -- makes some kind of statement. But what? Some people say they believe in God. What are they saying? Others say they don’t believe in God. What are they saying? And is there a real disagreement here or only the appearance of a disagreement? If you say something is red, and I say no, it’s yellow, but by “red” you mean orange – and by “yellow,” I mean orange – then we don’t have a real disagreement. Thus, some people say they believe in God but not the God that the atheists don’t believe in. They agree with the atheists that that God doesn’t exist, but they believe in another one. It reminds me of the mythological beast described in an early Woody Allen essay. The “Great Roe,” he says, has "the body of a lion and the head of lion, but not the same lion." So let me ask you some different questions. Have you felt awe? Have you ever felt a fulsome beauty that stopped you dead in your tracks? Have you felt grandeur in the world, the planet, or the space in which it floats? Have you felt a deep humility in the face of that grandeur? Have you ever felt a oneness with another being – perhaps watching a hawk soaring across the sky felt that you, too, were soaring there – that the boundaries of your self expanded, or dropped away entirely? Have you ever felt mystery and wonder? For all the world’s tragedies and atrocities -- the holocaust, mass famines, horrible hatred and violence, have you ever felt that the entirety, the whole enchilada, the full catastrophe – the stuff we judge good and the stuff we judge bad – all of it together -- the laughter, the tears, and heartache, all added up -- all fit together somehow into a whole that, tragedy and pain and all, is good and beautiful and true? If your answer to all those questions is “no,” then if you want to identify yourself as an atheist, I won’t quibble. If your answer to even one of those questions is “yes,” then if you still want to self-identify as an atheist, a quibble or two may be in order. To wit: Why not call that feeling a feeling of God? Maybe one person defines God as the universe – the universe with nothing in it other than what scientists describe. Meanwhile another person defines God as a super-powered person with knowledge and desires. Two such people can have a conversation in which they each mention God. For all their differences, they are both invoking what is of ultimate concern, what is awe-inspiring, what is the source of life and beauty and mystery – that toward which an attitude of reverence is appropriate. There are a lot of options for how to think about God. In what follows, I will look particularly at an option offered by a school of thought called Process Theology. 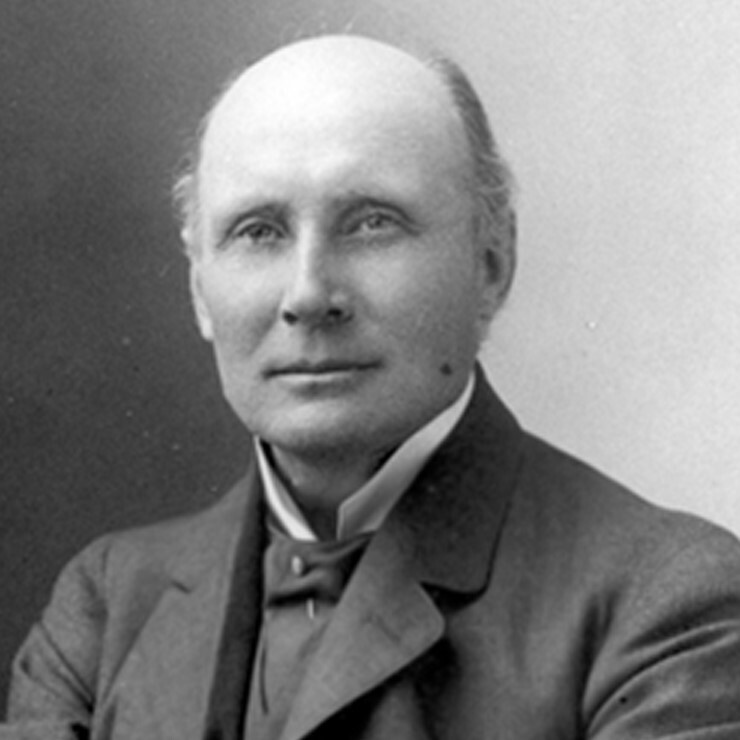 Process Theology began in the early 20th century, as a development from Process Philosophy, created by Alfred North Whitehead (1861-1947). Whitehead, a mathematician turned philosopher, published Process and Reality in 1929. Western thought since Plato has privileged Being over Becoming. Whitehead flipped that. He said reality is fundamentally becoming. Process is what’s fundamental, and things are just temporary manifestations of unfolding process -- as opposed to the predominant presumption that things are fundamental and that they change is nonessential, an imperfection, a design flaw. The perfection of God, from the Platonists through Thomas Aquinas and up to modern times, was God’s unchangingness. Whitehead said change is not a bug in the system. It’s not a bug, it’s a feature. Change is not nonessential – it is the essence. The ultimate principle is creativity – the process of creating takes precedence over any product creation. This is part 1 of 3 of "God, the Verb"
You ask "Why not call that feeling a feeling of God?" I guess my response is, "Because of all the baggage that almost surely goes with the term God, whether you like it or not." In particular, it is natural, based on our Judaeo-Christian tradition, and probably Islamic tradition as well, to imagine that God, unlike "Nature" or the "Natural Order" or the "Universe" may have some sort of personal relationship or attitude towards individuals. As for your example of feelings that might point to God: I don't think any of the feelings of awe, or unity, or that there is natural order, necessarily are accompanied by the feeling that this awe, this unity, and this natural order has a personality that cares in some personal way for me and my well-being. It CAN BE accompanied by that feeling, but it NEED NOT be accompanied by that feeling. Now, if you don't want that baggage of a personal God, you can define God however you want. But it seems to me that this is likely to be misunderstood by many listeners and readers, perhaps most. In fact I would go further and say that this will be misunderstood by over 90% of the listeners and readers. So I would pose the question to you, "Why not call that feeling a feeling that there is a Natural Order, and our life will be more meaningful if we act in accord with that Natural Order"? I would submit that calling this "Natural Order" is less confusing than calling this "God". Nature or Natural Order avoids the implication that this Nature or Natural Order has some sort of personality that cares about individuals and their fates. Thomas Jefferson in the Declaration of Independence referred to "The Laws of Nature and of Nature's God". It is an interesting question whether this phrasing would be better if you : (1) dropped "Nature's God"; (2) dropped "Nature"; OR (3) dropped both and substituted God. IT is interesting that Jefferson found it preferable to include both phrasings. Is that better, given that SOME want to attach personality to Nature and the Universe, and others do not? Perhaps it is better for a diverse audience. 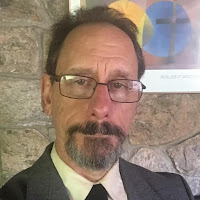 As for "process theology": of the number of people who believe in God in the U.S., what percentage believe in the God of process theology, versus a personal God? I have to think that "personal God" beats "process God" by 99 to 1. William James once wrote that "Were one asked to characterize the life of religion in the broadest and most general terms possible, one might say that it consists of the belief that there is an unseen order, and that our supreme good lies in harmoniously adjusting ourselves thereto.This belief and this adjustment are the religious attitude in the soul. " I want to note that James does NOT say that this "unseen order" should be called God, or that this "unseen order" has a personality or personally cares for us. So, I would submit that the "religious attitude in the soul" may or may not be described by the word God, in its normal definition. Given that there is this diversity in the religious attitude, calling this religious feeling by the word "God" is likely to lead to much misunderstanding. when we are a minority religion in a culture dominates by Abrahamic religions, especially Christianity, do we allow them to define what God is for us? The Abrahamic tradition bequeaths us a boatload of qualities and attributes of God. If we're going to use the word in a sensible way, then our use must overlap with a substantial chunk of those qualities and attributes. This chunk need not, I think, include "person-like, having beliefs and desires," as long as the chunk of qualities and attributes included is significant. I think such qualities and attributes as a source of beauty and mystery; a power inspiring gratitude, humility, wonder, and awe; an ultimate context and basis for meaning and value; the widest reality to which our loyalty is owed; a basis of ethics; or the Cosmos; are a substantial enough overlap with Abrahamic conceptions to warrant using the word "God." No single person or tradition gets to define "God" (that is, declare the words "God" must refer to all and only the items on an authorized list of qualities and attributes), but each person and tradition that uses the term must, on pain of being justly charged with misusing the English language, overlap with some substantial chunk of other more-or-less sensible uses of the word. I think in communicating with people, you always have to take into account how they understand a word. For example, someone who is an arch conservative in terms of U.S. politics can say that they are a "liberal" in the classical sense, but they risk being misunderstood. Similarly, someone who says that they believe in God risks being misunderstood if they do not believe in a personal God, as 99% of people will understand this as believing in a personal God. Now, you can always accompany your language with lots of caveats. But that makes it harder to communicate. Certainly it makes it harder to communicate briefly or with poetry and beauty. Let me reverse this: what are the ADVANTAGES of using the term God for a non-personal God, given the disadvantages that many people will misunderstand what you mean? What case can you make that these advantages outweigh the disadvantages? I personally see few advantages for using the term God to referring to non-personal versions of God (the nature of the universe, etc. ). Using the term God perhaps makes UUs less distinctive from other religions in our Judaeo Christian society, but I'm not sure this is a plus. "Theism offers religious liberals a language to carry into the world. It is a useful language because it is the vernacular of ordinary people, 96% of the American people. [Pew Research Center] Say, “God is Love and God loves you and every member of the human family” and people will at least have an inkling of what we mean." I disagree with this. If you say "God loves you" and you DON'T mean a personal God, but 96% of your listeners think you do, then your listeners really DON'T know what you mean. They merely think that they know what you mean, and that your beliefs are similar to theirs. So I don't think that you've moved forward with religious understanding. And of course using God language when one means a non-personal God does not move forward understanding with many Buddhists, who might not stress the concept of God, or with many "nones". I think we should say what we mean, as clearly and poetically as possible, even if what we say seems strange to some of our fellow Americans.